Frustrated with dating & not being able to find the man of your dreams? What if you could experience a unique detoxification what would rid you of those unhealthy dating patterns and bad habits that continually leave you feeling disappointed and lonely? And what if the result was confidence, purpose, joy, and better relationships? This is what Relationship Detox is all about. 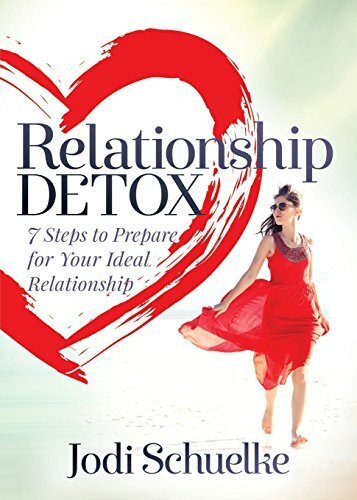 Relationship Detox is the smart woman’s guide to cleansing yourself of the dysfunctional relationships and dating habits that prevent you from finding the man of your dreams. Relationship expert and best-selling author of I Just Want Out, Jodi Schuelke lays out seven practical steps in her FORWARD Framework™ process so you can claim (or reclaim) your self-confidence and happiness. Get out of your relationship rut. Stop falling for bad boy types, narcissists, commitment phobe, or playboys. Set yourself up to meet the right guy for you. Rid yourself of toxic mindsets and behaviors that pull you away from having the relationship you deserve. Identify healthy and stable men who are ready for a grown-up relationship. Learn how to break the grip from past relationship patterns so you can reclaim your personal power from unhealthy men and those who are just not the right fit.